Did we not tell you that 3D printing was going to be HUGE? 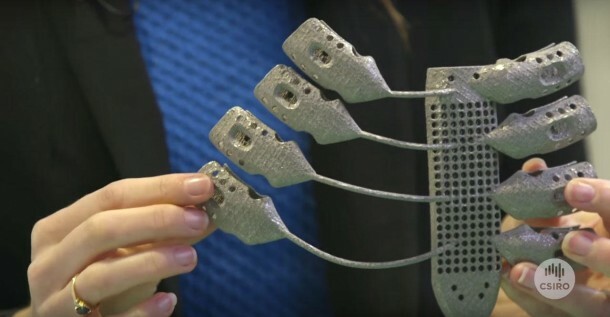 A cancer patient has recently received a customized 3D printed titanium sternum and rib cage replacement. Sounds like a mouthful, doesn’t it? The Spanish patient is 54 years old and developed sarcoma – a cancer type that affects the tissue’s deep layers, usually manifested in cartilage, bones, muscles and blood vessels. The aggressive tumor began growing around the sternum and damaged parts of the rib cage that had to be eventually removed. For such scenarios, usually it is not possible for replicating the bone structure perfectly owing to the rib cage’s complexity. It has to be flexible so that it allows for expansion when breathing and yet is able to protect the internal organs. The solution up till now was to install a titanium plate in the patient’s chest and as expected, this solution is way far from an ideal fix. 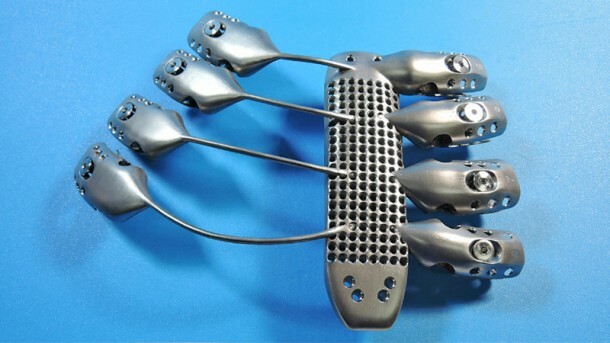 The surgical team at the University Hospital of Salamanca ordered an implant project from a company based in Melbourne, Anatomics. This implant was to satisfactorily replace the bone structure of the patient. A number of high-resolution CT scans were used for a perfect reproduction of the rib cage and sternum parts that were removed. 3D printing laboratory Lab 22 was requested to create the part by making use of a $1.3 million electron beam Arcam 3D printer. Two weeks have gone by since the operation took place and the patient has already been discharged and is currently recovering from the surgery and doing well from what we’ve heard!